U.S. Football Sees NFC-Enabled E-Tickets as way to Cut Fraud, Market to Fans | NFC Times – Near Field Communication and all contactless technology. 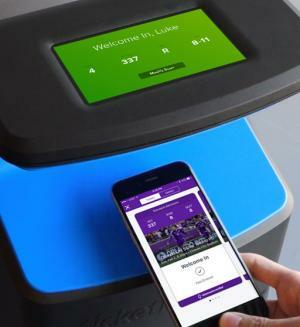 Fans of National Football League teams in the U.S. will be tapping to enter stadiums this year with NFC-enabled e-tickets on smartphones and contactless chips embedded in paper tickets. The new e-ticketing service, announced last year by ticketing vendor Ticketmaster, is designed to enable teams to identify consumers while at games in order to send them offers, including proposed upgrades, and to create other sales opportunities. It’s also aimed at reducing fraud by attendees who use counterfeit or scalped paper tickets. The NFL's deal with Ticketmaster has called for installing contactless ticket validation hardware and Ticketmaster “Presence” validation and ticket tracking software at all 31 NFL stadiums in time for the 2018-2019 football season, which is scheduled to officially begin Sept. 6. The stadiums will use the digital ticketing system for NFL games, as well as other events, such as concerts, held at the venues. Article has about 1280 words.